WASHINGTON — President Donald Trump plans to attend the funeral of former President George H.W. Bush in Washington, D.C., according to a White House statement. A state funeral is being organized by the Joint Force Headquarters National Capital Region and the Washington ceremony will be held at the National Cathedral. Trump offered condolences from Buenos Aires, where he is attending a Group of 20 summit. 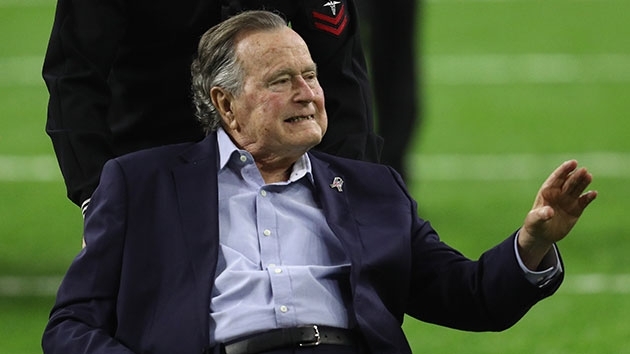 He postponed a news conference scheduled for Saturday afternoon “out of respect for the Bush family” and proclaimed Wednesday, Dec. 5 a national day of mourning for the former president. Relations between Trump and the Bush family have been tense since Trump’s election. Both former presidents George Bush and George W. Bush voiced concerns that Trump is dismantling the party they dedicated their lives to building. In a May 2016 interview, George H.W. Bush called Trump a “blowhard” and said he believes the current president is too interested in his own ego. “I don’t like him … And I’m not too excited about him being a leader,” the 41st president said in the interview. That wasn’t the first time Trump faced sharp criticism from Republican leadership. There was long-standing animosity between Trump and former Sen. John McCain, whose funeral the president did not attend in August.